“This is %*&@# great! Is it really made with dandelions?” — A typical consumer. 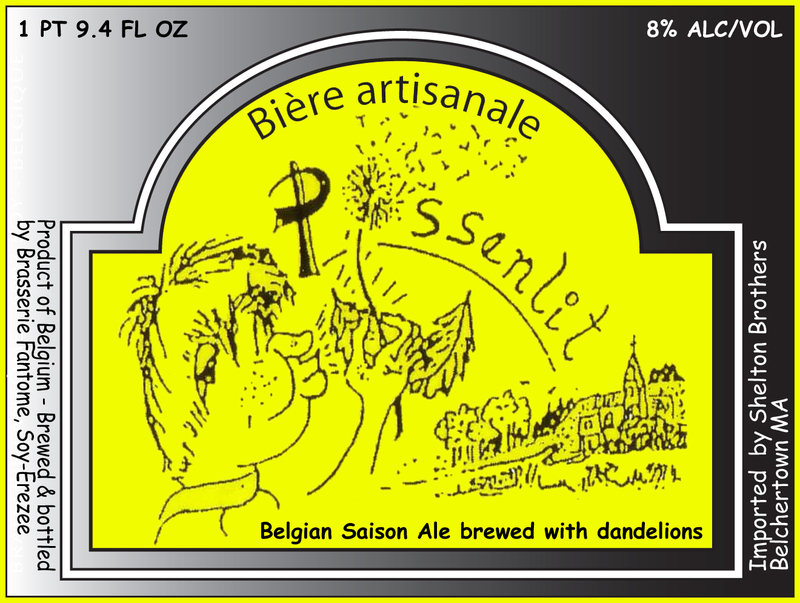 “Pissenlit” is the French word for dandelion. Literally, it means “pee in bed,” which we guess describes the physical effect the flower has on French-speaking persons. We are happy to report, however, that we haven’t had any problems with incontinence after downing a bottle of this beer.